When you make the conversion to Natures TipTM, you will be using the most innovative compostable air water syringe tips in dentistry. Our air water syringe tips ease of use, its similarity to metal air water syringe tips, and its universal application to any air water syringe manufactured in Europe, Asia, and elsewhere, allows any dentist, orthodontist, or hygienist to enjoy perfect performance every time! 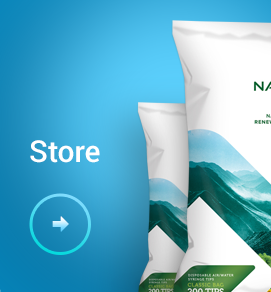 Natures TipTM Is The NEW Category Leader! We provide unparalleled support and service. We can supply air water syringe adapters for over 30 syringes! We even have an incredible FREE air water syringe tip exchange program, through which we will take your current supply of competing disposable air water tips, and give you an equal number of Natures TipTM - absolutely FREE! Everything you need to help you convert to Natures TipTM, to maintain your air water syringe in peak working order, and to ensure you are getting the most out of your air water syringe tips, is available in our website support suite. Just click on the support menu tab and find what you are looking for. Whether you are getting an air water syringe tip sample, purchasing air water syringe tips for your office, or need to replace air water syringe adapters, we can always help. Once you purchase Natures TipTM, you can receive discounted rates for adapters. We have adapters for any leading air/water syringe currently in the market. Our online chat room is frequently available for you to talk directly to our service and sales specialists, who can assist you with any air water syringe tip or air water syringe problem. Or you can quickly and easily submit a service ticket and receive a response within three hours during normal operating hours. Many offices want to make the switch to Natures TipTM from another disposable air water syringe tip, but they look on their shelf and see hundreds of their current air water syringe tip in a bag. What to do? It's simple! Just place a minimum opening order of a Mega Pack (2000 air water tips) from us. When we deliver that first order, we will collect your current supply of competing air water syringe tips (up to 2000 air water syringe tips), then send you an equal number of Natures TipTM. Natures TipTM is made in Southern California, USA. Our air water syringe tips are made with rigorous quality control and quality assurance protocols to ensure perfect performance with every air water syringe tip. At our production facility, we have spent the necessary money to ensure we have state-of-the-art machinery to produce only the best for our customers. Natures TipTM comes in three convenient sizes designed to fit the needs of your individual practice, and can be purchased in a specific color, or the rainbow colors pack.